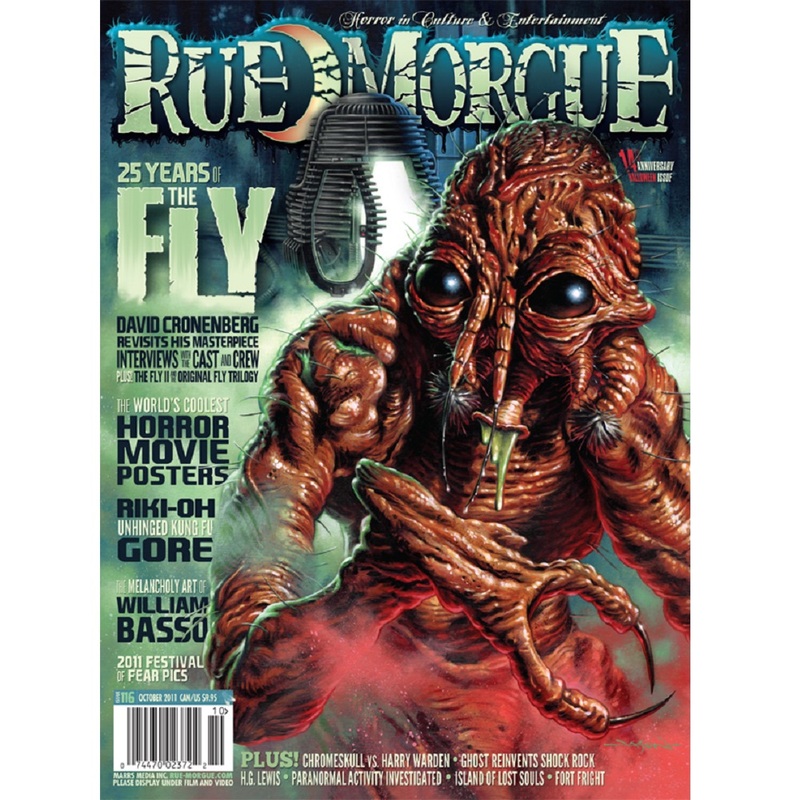 Rue Morgue founder in production on first feature; Toronto After Dark Film Festival marks its sixth year; Hammer screenwriter Jimmy Sangster dead at 83. Weird stats and morbid facts. Sick Top Six: The Fly’s Flesh Transgressions. The Fly Bobble-head, Dismember-Me Plush Zombie, Brain Soap in a Jar, and Ossuary Dice. CineMacabre features Savage, and paranormal investigators on Paranormal Activity 3, plus reviews of Fright Night, Final Destination 5, Shark Night 3D, Texas Killing Fields, Bereavement, Strigoi: The Undead, Creature, The Coffin, Wrong Turn 4: Bloody Beginnings, Frat House Massacre, Yellowbrickroad, Dead Cert, Mothman, Exit 33, Dinocroc vs. Supergator, Megashark versus Giant Octopus, Creep Creepersin’s Frankenstein, Ding Dong Dead and Peeping Blog. Abbreviated Terrors presents Stealin’ Home, Hike and Curiosity Kills. Reissues features Guillermo del Toro on Mimic: The Director’s Cut, while John W. Bowen and The Gore-met taking on the Retro ’80s box set from Camp Motion Pictures. Also featuring reviews of Things (1989), Damnation Alley (1977), MST3K vs. Gamera: Mystery Science Theater 3000, Vol. XXI (1991), The Secret Life: Jeffrey Dahmer (1993), Final Exam (1981), Trailers From Hell! Volume Two and Elvira’s Movie Macabre: The Satanic Rites of Dracula/The Werewolf of Washington and Night of the Living Dead/I Eat Your Skin. The Baby (1973), The Unseen (1980) and Bad Boy Bubby (1993). 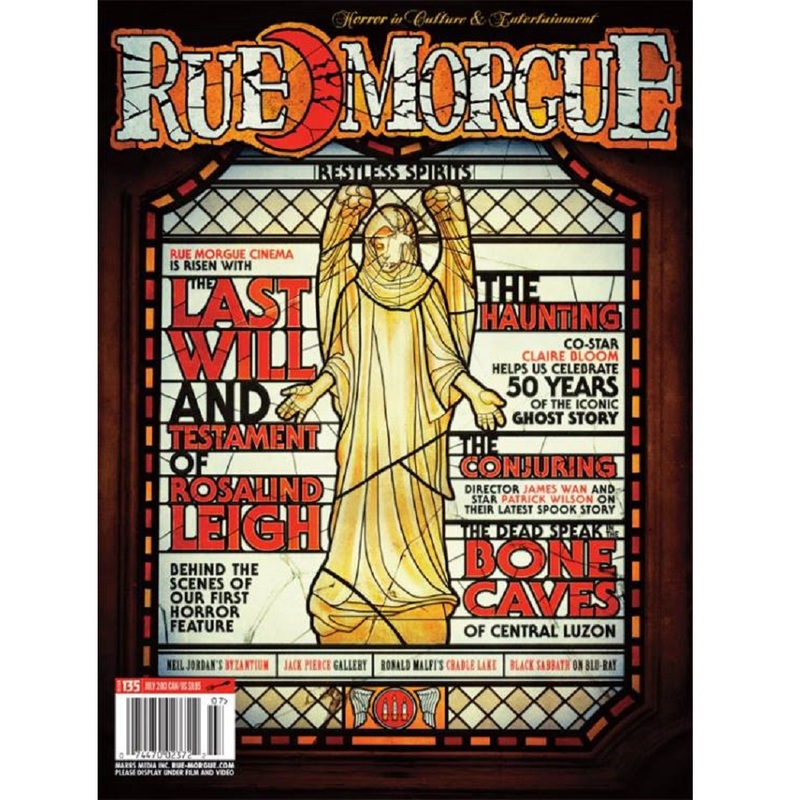 Features The Strange Case of Luther Strode, plus reviews of Dark Axis: Rise of the Overmen #1, The Vault #1 of 3, The Heap #1 of 3, Walter Koenig’s Things to Come #1 and Anne Rice’s Servant of the Bones #1. Spotlight: John Landis’ Monsters in the Movies: 100 Years of Cinematic Nightmares. Library of the Damned grills Liisa Ladouceur on Encyclopedia Gothica. 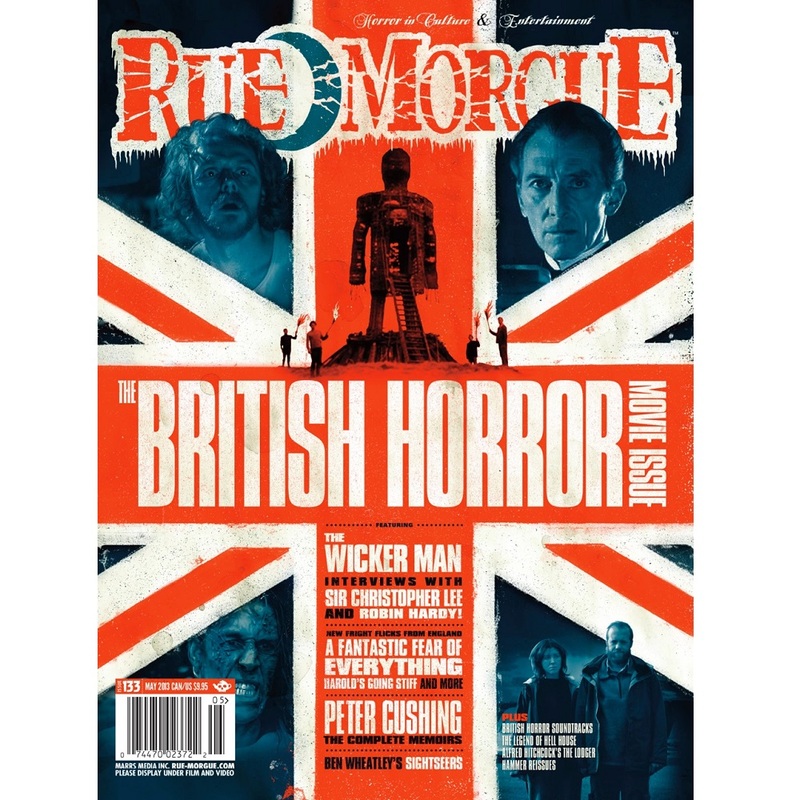 Plus, reviews of Perverse Titillation: The Exploitation Cinema of Italy, Spain and France, 1960-1980, Back from the Dead: Remakes of the Romero Zombie Films as Markers of Their Times, Halloween Nation: Behind the Scenes of America’s Fright Night, In Laymon’s Terms, Joseph Nassise’s Eyes to See, Gris Grimly’s Atrum Secretum: 13 Years of Hidden Truths, Tim Powers’ The Bible Repairman and Other Stories and Kendare Blake: Anna Dressed in Blood. Fort Fright at Old Fort Henry – Kingston, Ontario. Chewing the fat with H.G. Lewis. Featuring Ghost, the world’s most elusive metal band. The Blood Spattered Guide interviews Ghoul. 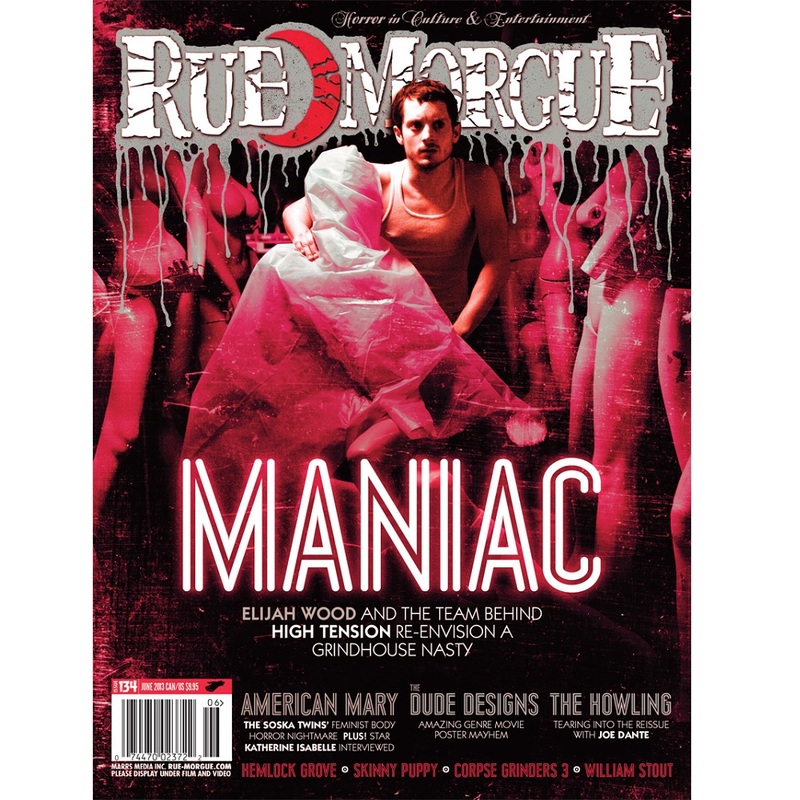 Plus reviews of Dexter: Season 5 OST, Being Human Series 1 and 2 OST, The Shrine OST, Hammer Legacy: The Frankenstein Collection, Hammer Legacy: The Vampire Collection, Chelsea Wolfe, Midnight Syndicate, Tasseomancy, Vladimirs, The Marshmallow Ghosts, Evil Elvis, Abhor, Alice Cooper, and Morbus Chron. Reviews Call of Duty – Black Ops: Rezurrection, Ugly Americans Apocalypsegeddon, Trauma, Granny vs. Zombies and Ghostly Trivia/Undead Trivia. Paul Leni’s The Man Who Laughs (1928). 10 new US subscribers will win a JuiceheaD “Rotting on the Inside” Limited Edition 7-inch single, a Misfits “Twilight of the Dead” 12-inch maxi single on Limited Edition clear blue vinyl and a Misfits Records T-shirt.